As Beatlemania took hold, John Lennon and Paul McCartney dominated the group's output: "There was an embarrassing period when George's songs weren't that good and nobody wanted to say anything," John Lennon later said. "He just wasn't in the same league for a long time – that's not putting him down, he just hadn't had the practice as a writer that we'd had." 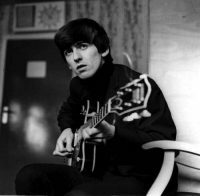 Known as "the quiet one" of The Beatles, Harrison's first published composition was Don't Bother Me, which he wrote while ill in a hotel room in Bournemouth in the summer of 1963. It appeared on their second album With The Beatles. Harrison was later dismissive of Don't Bother Me, saying "It was a fairly crappy song. I forgot all about it completely once it was on the album... At least it showed me that all I needed to do was keep on writing and then maybe eventually I would write something good." 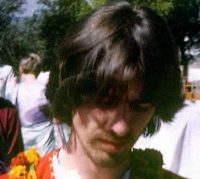 During The Beatles' first US tour, Rickenbacker gave Harrison a 12-string electric guitar – a 360/12 model. 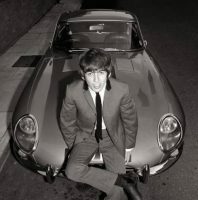 The instrument became characteristic of The Beatles early to mid 1960s sound, particularly on the A Hard Day's Night album, and influenced many other bands including The Byrds. 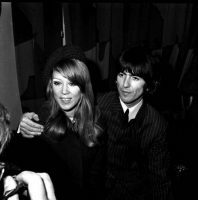 Harrison sang at least one song on all The Beatles' albums, though as a songwriter he remained in the shadow of Lennon and McCartney. Following Don't Bother Me, his next self-penned songs were I Need You and You Like Me too Much, on 1965's Help! album. 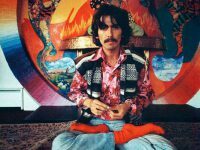 George Harrison's interest in Indian music was awoken by a scene in the Help! film. 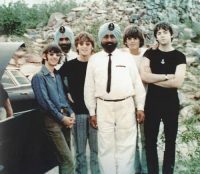 While making the film, a Hindu devotee gave each member of The Beatles a book on reincarnation, which led to a fascination with many aspects of Eastern religion, culture and philosophy. The Byrds' David Crosby introduced him to the music of Ravi Shankar during a US tour in 1965, and he became fascinated by the sitar. He became friends with Shankar, who became his sitar teacher. 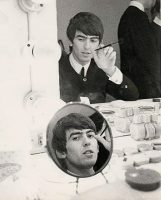 For 1966's Revolver he recorded Love You To, which featured no Western instrumentation. 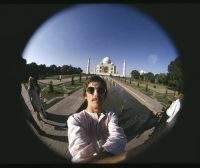 Following the recording of that album, he went on a pilgrimage to India with his wife Pattie. 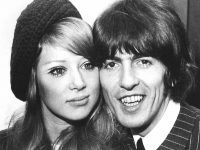 The couple had met during the filming of A Hard Day's Night, and married on 21 January 1966.